Suffering from TMJ and Migraines in Anchorage? Facial pain affects nearly everyone at some point. 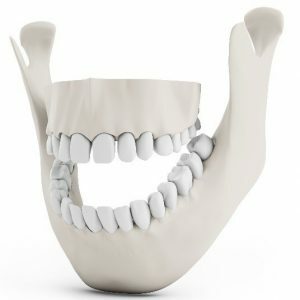 In some cases, the pain is caused by a malfunction of the TMJ, or temporomandibular joint, which connects the jaw to the lower skull. Dentists are often the first to notice signs of TMJ. Without treatment intervention, TMJ problems can worsen over time and cause excruciating pain and other symptoms. If you are experiencing any pain or tenderness around your jaw, or other symptoms of TMJ problems, Dr. David Green of Turnagain Dental can help. Dr. Green will use advanced evaluation techniques and diagnostic equipment to determine whether a TMJ problem is causing your pain. If so, he will propose an effective plan of treatment to alleviate discomfort and put you back on the road to optimal health and wellness. The TMJ is located on either side of the head right below the ear, and works like a sliding hinge, allowing the jaw to move forward, backward and side-to-side. The bones of the joint are covered with cartilage and separated with a small shock-absorbing disk that keeps jaw movement smooth. The disk can shift out of alignment or erode. The cartilage covering the bone can deteriorate due to arthritis. The joint can sustain damage from a traumatic blow. Chronic teeth clenching/grinding or teeth that don’t bite together properly can put too much stress on the joint. When the TMJ malfunctions, it is often referred to as TMJ disorder or TMD. TMD can cause pain, headaches, excessive tooth wear and clicking or popping noises when opening the jaw. Some people suffering from TMD can also experience ringing in the ears, shoulder and neck pain and dizziness. There are a variety of ways to treat TMD and alleviate pain. Over-the-counter medications and muscle relaxants can help soothe discomfort. Wearing a mouth guard or special orthotic splint at night is also recommended. Some patients find relief from professional massage therapy, acupuncture and biofeedback. Botox injections are another way to relax the jaw muscles and prevent them from cramping. Malocclusion or a “bad bite,” chronic teeth grinding or clenching or an injury to the jaw can cause the jaw muscles to tighten. Some experts believe that the pain from the strained muscles can travel to other places in the skull, causing the onset of a migraine. If you have been diagnosed with TMJ disorder and are experiencing frequent migraines, Dr. Green can help determine whether one has to do with the other. If so, treating TMJ problems may provide much-needed relief from the painful headaches. For more information about TMJ disorder and how to treat its painful symptoms, please contact Turnagain Dental and request an appointment with Dr. Green. Call or email our office today.